Sheilah is an Optometric Assistant and front desk manager. 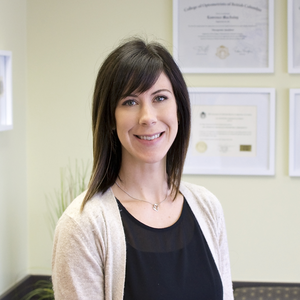 We have been lucky to have her working with us at Armstrong Optometry since 2004. Sheilah provides excellent service in all areas of the clinic, particularly at reception, pretesting, and visual field testing. She is also proficient at frame selections and glasses repairs/adjustments. Sheilah enjoys photography, gardening, and snowboarding.